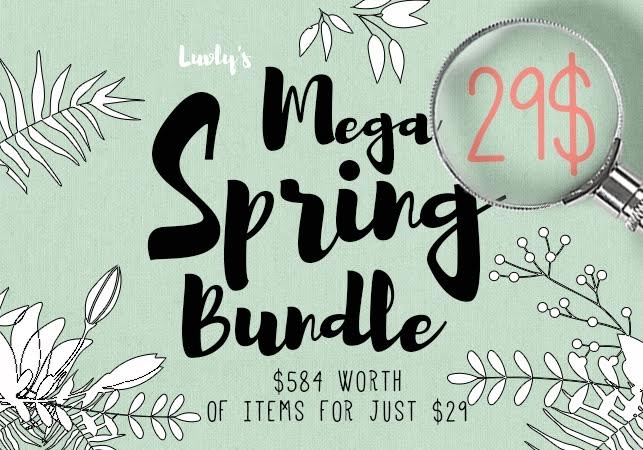 Over the years I have used Luvly’s digital clip art many, many times, so I am happy to announce we are hosting Luvly’s Mega Spring Bundle Giveaway! This massive bundle of creative fun comes with 149 products from 8 top designers. They come as separate files, making it easy to find what you are looking for. What can you use them for? Adding to pictures and collages (hello PicMonkey! ), using them in newsletters, making fun collages with just them, backdrops for anything from web pages to inspirational memes, and so much more. I’ve even used digital art in my cookbooks! To enter the giveaway, use the Rafflecopter Link below till March 6th. Winner will be contacted via email by us, and the prize will be sent to you by Luvly for download. Open world wide. Prize is a digital download.